Bill to Help Victims of Hate Crimes: Sen. Richard Blumenthal (D-CT), introduced the No Hate Act (Bill S.662) to provide incentives for hate crime reporting, grants to State-run hate crime hotlines, a federal private right of action for victims of hate crimes, and additional penalties for individuals who are convicted of committing a hate crime. Senate Passes Resolution to Reduce Consumer Privacy: The Senate voted on Thursday to allow internet service providers to sell sensitive consumer data without customers’ permission. The decision, which the ACLU called “extremely disappointing” will be up for a vote in the House next. Hate Crimes Hill Briefing: On Thursday, the South Asian Americans Leading Together (SAALT) hosted a Congressional Briefing to discuss the trends underpinning the violence targeting South Asian, Muslim, Sikh, Hindu, Arab, and Middle Eastern Americans during the 2016 election cycle. Congressman Ami Bera (D-CA-7), Rep. Raul Grijalva (D-AZ-3), and Rep. Ro Khanna (D-CA-17) attended the event. 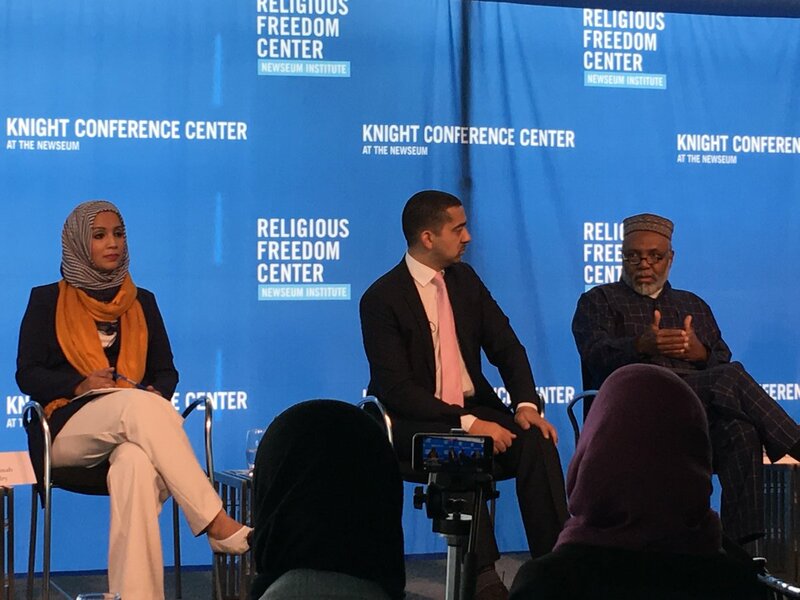 Anti-Muslim Group Hosts Film screening in Congress: The Congressional Caucus of International Religious Freedom and the Caucus on Religious Minorities in the Middle East sponsored a screening on March 22nd of Faithkeepers, a film by the Clarion Project. The organization is known for spreading misinformation and hate and for making and distributing anti-Muslim films that compare Islam to Nazism. Congressional Black Caucus Meets With President Trump: Members of the CBC, including Muslim representative Andre Carson (D-IN-7) met with President Trump to discuss a host of issues, including concerns about the travel ban targeting Muslim immigrants and refugees. ○Economy, bigotry, healthcare, education, and poverty top the list of “most important issues facing our country today” for Muslims. ○ 42% of Muslims with children in K–12 school report bullying of their children because of their faith. ○ Muslims are the most likely faith community to report religious-based discrimination (60%) in the past year. This compares with 38% of Jews and less than 20% among all other groups studied. Muslim Ban 2.0: Keep the pressure up with our Action Alert as a guide on what to say to your representative about this discriminatory executive order. In District Week: Your members of Congress will be in their home states and cities April 10-21. Now is the time to schedule appointments and pencil in town halls to make your voice heard. Download our office visit and town hall guides to learn how. On SOLVe Act 2.0 : The Executive Order “puts Americans at risk. By turning our backs on refugees and the most vulnerable families in the region, we risk undermining the coalitions we need to build in order to defeat ISIL and other threats. The President's ban also plays into the hands of terrorist recruiters.” Rep. Mike Thompson (D- CA-05). - “We must come together as a nation to stand up to hate violence” Rep. Ami Bera (D-CA-7). Poligon Education Fund is working tirelessly to 1) monitor and hold accountable all Congressional action taken on issues that deeply impact the lives of everyday American Muslims and 2) educate American Muslims on effective advocacy and Congressional engagement. Only a few months since our launch, we have jumped headfirst into this crucial work, which we can only hope to continue with your generous support. Please take time to make a contribution. Copyright © 2017 Poligon Education Fund, All rights reserved.